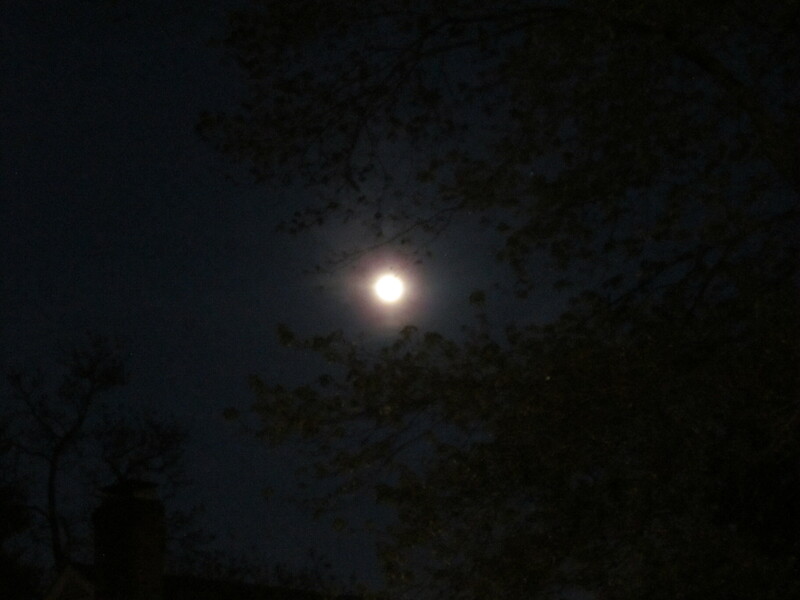 To find the time of the Blue Moon/Full Moon in your time zone, click here. To watch a slideshow presentation with an audio recording of this reading, click here (8:00 minutes). Question: How does this Blue Moon/Full Moon support the Heart? Summary: Blue Moon’s rare occurrence is offering a rare support. That which the Heart has valued over time and brought to a state of maturity internally could move forward into physical reality. This is personally and globally important in the effort to make the physical world reflect more and more of the balance, abundance, and compassion present in the seed of all experience. Tidbit about the mystical Qabalah: A concept of the Tree of Life in mystical Qabalah studies offers a tree-like structure to organize worlds of experience. At the “top” a seed of pure and luminous experience exists that is accessed through states of consciousness such as meditation, ceremonial intoxication, creative impulse, dreaming, and suffering. At the “bottom” a world of material life exists that reflects fragments of the light at the “top.” Between the “top” and “bottom” of the tree are worlds that extend the experience of the seed through branches and divisions of emotions, creativity and thought patterns until they reach material manifestation – fragmented and diluted, but shining with some original light anyway. The Tarot uses this mystical Qabalah Tree of Life structure to organize the progression of cards from Ace to Ten in each suit, and to make a relationship between the end of one suit and the beginning of another, such as the way the central card in the Blue Moon spread is the beginning of a transition to the Ace of Disks. 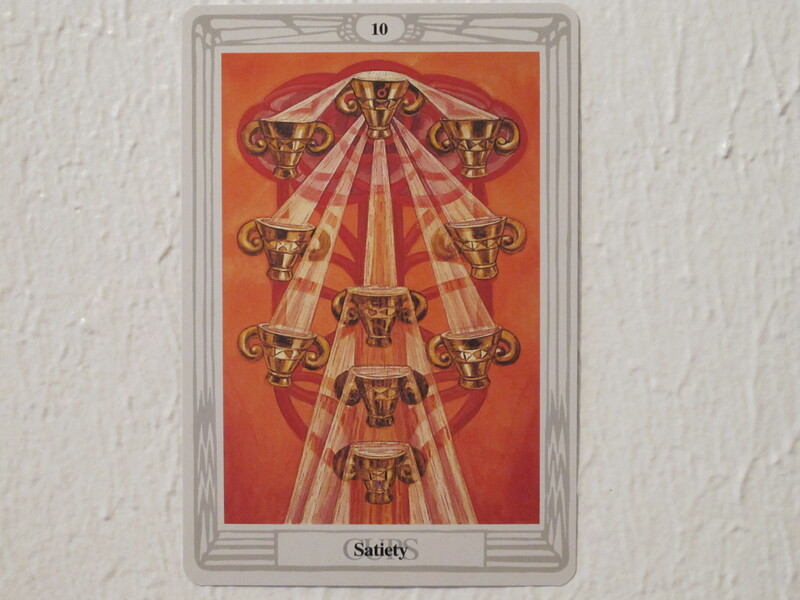 The 10 of Cups shows the Heart’s experience (luminous liquid streaming from the golden cup at the top of the Tree of Life all the way through and beyond the many golden cups on the branches and trunk below) of a very peaceful, spiritual, pure, compassionate, generous state (symbol of Pisces on bottom cup). It is not a static state, however. Some cups are off-balance and others are overflowing. 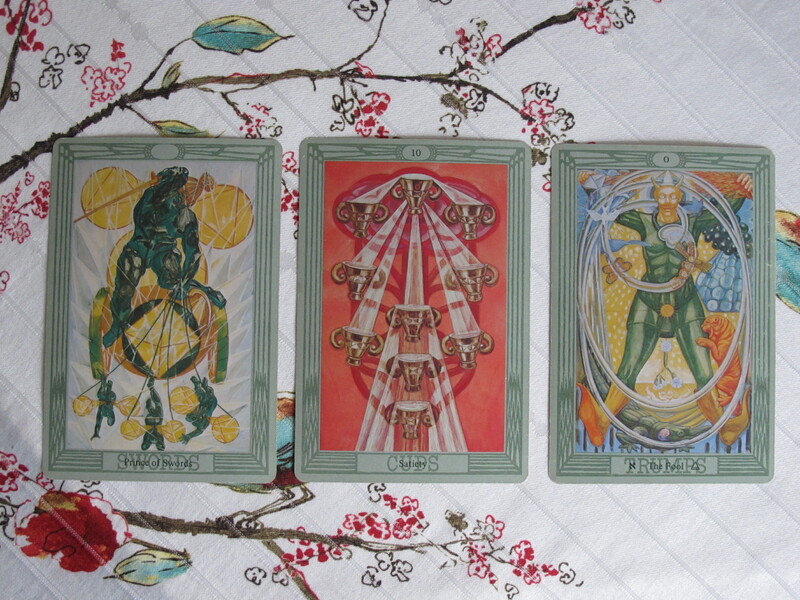 There is tension to move forward like a Warrior (symbol of Mars on top cup). 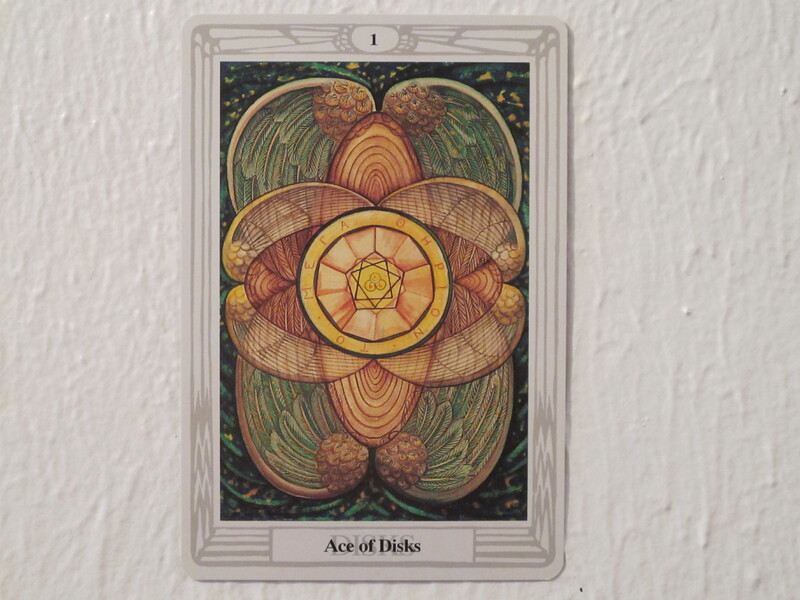 This aggressive motivation seems unrelated to the peaceful experience the Heart has been incubating, however, it is necessary to transition into physical manifestation (10 of Cups transitions to Ace of Disks). Therefore, this Blue Moon offers to add fuel to the flames (fiery red color throughout) that launch the Heart from a solid inner experience to a shared outer one — which the Heart has longed for but dared not attempt. 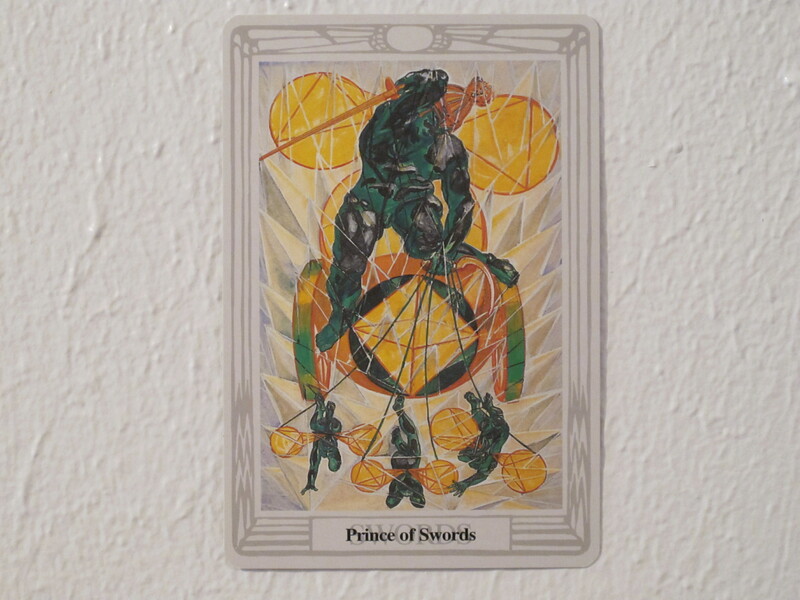 Given that this Blue Moon is the support but not the pilot of the Heart’s rocket, the Tarot has provided two assistants to mitigate the relationship between the Heart and the Mind; the Prince of Swords and Trump O. Working with these assistants will keep the Heart in the driver’s seat and open a channel for higher support. The Prince of Swords’ basic dilemma is the creation of many good ideas (sword raised in right hand) without follow-through (sickle for harvest held aimlessly in left hand). 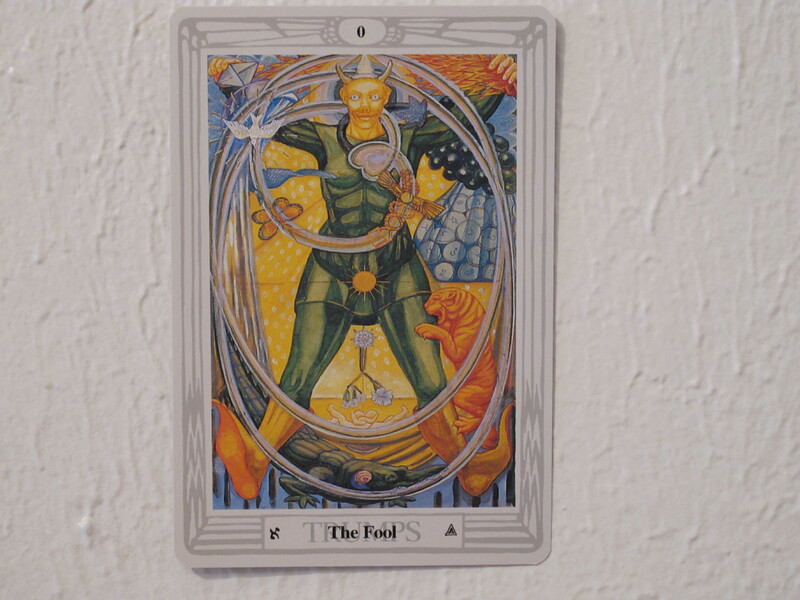 The Tarot offers Trump O as the antidote. Meditating on its image supports the Heart’s courage to act on one good idea at a time to achieve a goal. The central figure is intoxicated with the divinity of the task at hand (grapevine sprouts from the heart). Additionally, the card shows numerous eternal gifts that always belonged to the figure (sun-colored diamond crown, bag of coins in hand with astrological symbols on each one, Holy Grail with fluid showering the figure in one hand, alchemical fire power bursting from other hand, suit of green creativity, and many more that have been the subject of entire books). This character does not look for reasons to be courageous. His/her divinity turns the key in the lock of the intellect, so that past experience does not obstruct his/her sense of ever-expanding good fortune and the relevance of all occurrences. Anything is possible. His/her Heart is in the driver’s seat (three spirals laden with symbols/gifts connect the figure’s heart to realms of unlimited potential beyond the top of the Tree of Life like an umbilical cord). These images are cognitive supports that encourage the Heart to accept ideas from the Mind that can manifest the vision and fight for them. The fighting will be more like flying forward (figure’s feet are in the air) than exhausting warfare. Meditating on the images in the card will also help shield the Heart from the Mind’s fearful thoughts (the tiger biting the figure’s leg does not bother him/her). This is the work this Blue Moon is available to support. A prayer for going forward with this spread: May the spirit of the Moon and all supportive personal guides, spirits and prophets be welcome into the Heart’s chambers. May the Heart be comforted by their presence and through them remember the unlimited power that began the universe. May the Heart surrender to the moment and fly forward to fight for its space in the world. May all possible gifts and good luck come forth in assistance. 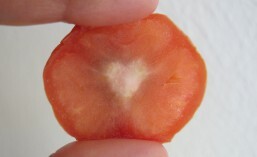 May the Heart be happy. May it be so for you, dear reader. May it be so for me. May it be so for every being in our lives and around the world. This entry was posted in astrology, charlottesville, full moon, lunar cycle, ritual, spirituality, tarot and tagged astrology, blue moon, charlottesville, full moon, lunar cycle, mystical Qabalah, ritual, spirituality, Thoth Tarot, tree of life. Bookmark the permalink.